Ms. Costa joined Berkey Williams LLP as one of the Firm’s 2017-2018 Indian Law Fellows. She is a descendent of the Sherwood Valley Rancheria Band of Pomo Indians and Round Valley Indian Tribes. Her interest in the intersection between the law and Native American rights stems from her childhood growing up on the reservation and her family’s participation in tribal government and community improvement. Ms. Costa earned her B.A. from the University of California, Davis, where she majored in Native American Studies. In 2017, she earned her J.D. from the University of California, Los Angeles, School of Law, where she received her specialization in Critical Race Studies with an emphasis on Native American rights. While at UCLA School of Law, Ms. Costa served as Vice-President and Recruitment Coordinator of the Native American Law Student Association (NALSA) and competed in the 2015 National NALSA moot court competition. She also served as Executive Editor of the Indigenous Peoples’ Journal of Law, Culture & Resistance. Ms. Costa previously clerked for the Wishtoyo Foundation and the Yurok Tribe’s Office of the Tribal Attorney. She also participated in the UCLA Tribal Legal Development Clinic working for the Santa Ynez Band of Chumash Indians. 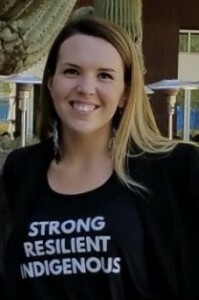 As a third year law student at UCLA School of Law, Ms. Costa worked as a part-time legal extern at the Tribal Law and Policy Institute where she contributed to legal publications and policy letters. As an Associate at Berkey Williams LLP, Ms. Costa will be using both her legal education and community-involvement experience to work on behalf of tribal clients in all of the firm’s practice areas.